Every time you recycle or shop with Comprenew, you are helping to support our mission. We want to thank you for that! Following Black Friday and Cyber Monday, #GivingTuesday has become a global phenomenon celebrating and promoting giving to charitable causes. This year we would like to invite you to learn more about our Comprenew Connect program. Comprenew Connect is a computer literacy class aimed to help low-income members of our community learn to operate computer technology and acquire a home computer. Our goal is to close the digital divide while setting up families for success. Comprenew Connect is free to participants and builds confidence and technical skills. 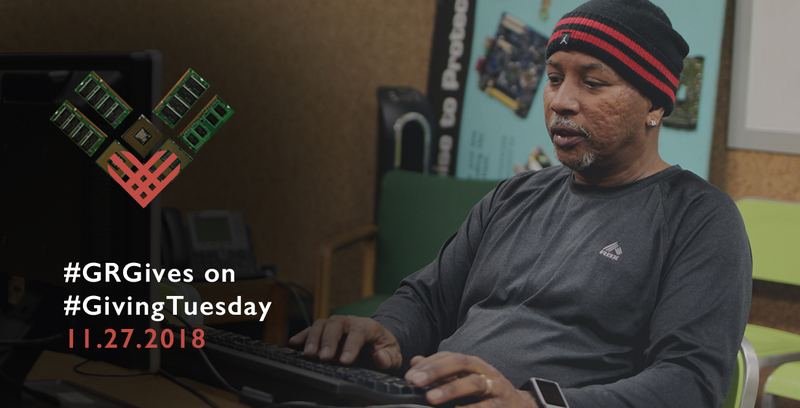 Graduates of the program will have an opportunity to receive a discounted or free warrantied computer from a Comprenew store upon completion of the class. Taught using an online training program under the supervision of an instructor, the program includes training in Microsoft Word and Excel, email correspondence, and internet navigation. Since 2015, nearly 500 under-served members of our community have graduated from Comprenew Connect. You can help us expand this program to reach even more people in need of technical training and a home computer! Join us and the many others making a difference by participating in #GRgives on #GivingTuesday! Donate Today. About us: Comprenew is a nonprofit electronics refurbisher and recycler, committed to giving your retired electronic devices new life, whenever possible. We maintain the highest international standards in electronics recycling and data security, ensuring your confidential data is never compromised. 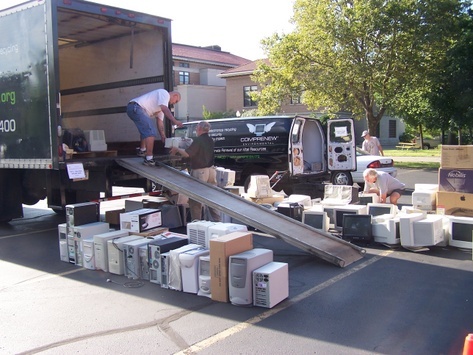 We offer affordable refurbished products at 3 retail locations in west Michigan, and have 23 e-waste collection sites throughout the Midwest. Additionally, we provide job-readiness and computer literacy programs to under-served members of our community.